There's nothing more exciting than seeing all the years of design begin to pay off as the building starts to come out from the page into reality. 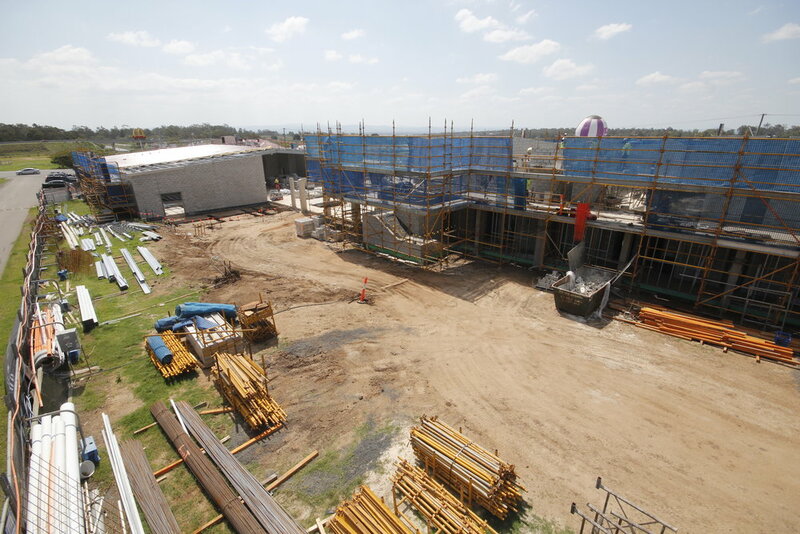 The Porters Plainland Hotel is now well under way, and the site is a hive of activity. 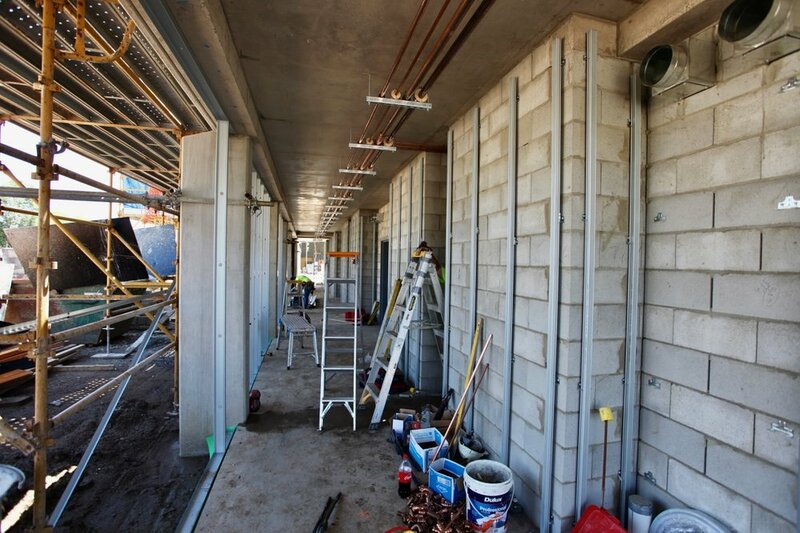 The ground floor of the Motel is well under way, and the framing is quickly going up over the new function rooms. 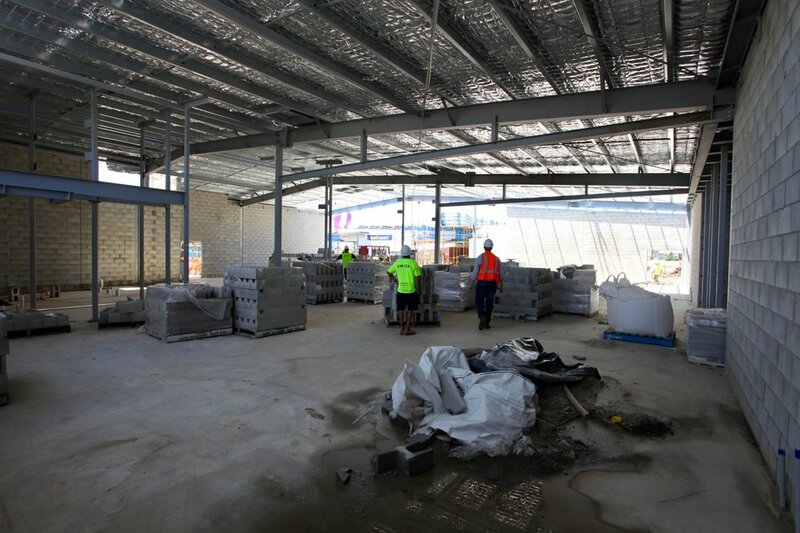 It’s exciting to see - the roof is installed over the new function rooms and hotel spaces, and the blocks are quickly going up for the upper storey of the Motel. You’ll have to use your imagination, but it’s easy to see how this wide and spacious corridor will become a feature in the new Motel. Now that the roof is installed, it’s easier to see the shape of the new function rooms and have a greater sense of what this space will be. Our original southern cross windmill. In other news, Norm (the local windmill whisperer) has found us a beautiful original southern cross windmill for our project. We're excited to be finding this beauty a new home in the coming months, but you will need to wait to find out where she ends up.